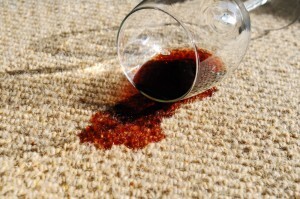 Do you need to protect your carpet from spills and stains? We have just the solution for you. We offer carpet protectant services that can help your carpet repel those hard to clean stains. Our carpet cleaning technician can even demonstrate the effectiveness of this amazing product right there in your home. You will be amazed at how the protected piece of carpet literally repels the stain and does not allow the carpet fiber to absorb the liquid. This makes cleaning up the stain much easier and prevents the carpet fibers from taking in the stain. Carpet protectant is a wonderful add on to any carpet cleaning service and can help keep your carpets looking like new for years to come.